Our dads are the best "bar none"! 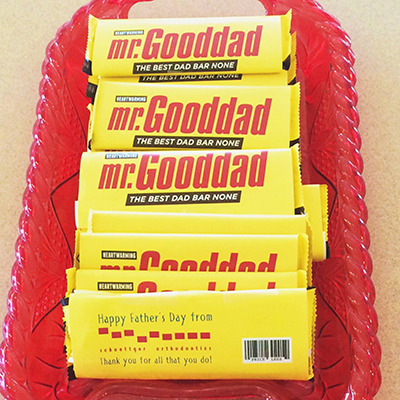 We are celebrating Father's Day in the office today by handing out Mr. Goodbar candy bars (with our own little twist of course) to all of our patients who are dads and to all of the dads that support their child in orthodontic treatment! They are the best dads "bar none!"